Trivandrum, September 2, 2011: The Norka Centre Trivandrum which will house different offices of the Non Resident Keralites Affairs (NORKA) department will be inaugurated today at Thycaud. 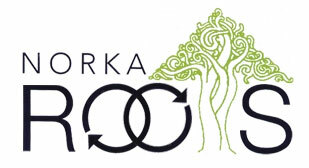 The Norka centre will have the Norka roots certificate attestation centre at the ground floor, Non Residents welfare board office and Norka Roots Call centre at the first floor, Norka Roots head office at the 2nd and 3rd floors. The fifth floor will occupy the Office of the Central Government Protector and Emigrance Office and Norka Roots business centre. The centre will also have an auditorium with a capacity of 250 peoples in the top floor. The Norka Centre will be inaugurated by Chief Minister Oommen Chandy, the Norka Roots Call centre will be inaugurated by Central Minister Vayalar Ravi and the attestation centre will be inaugurated by minister E Ahmed.